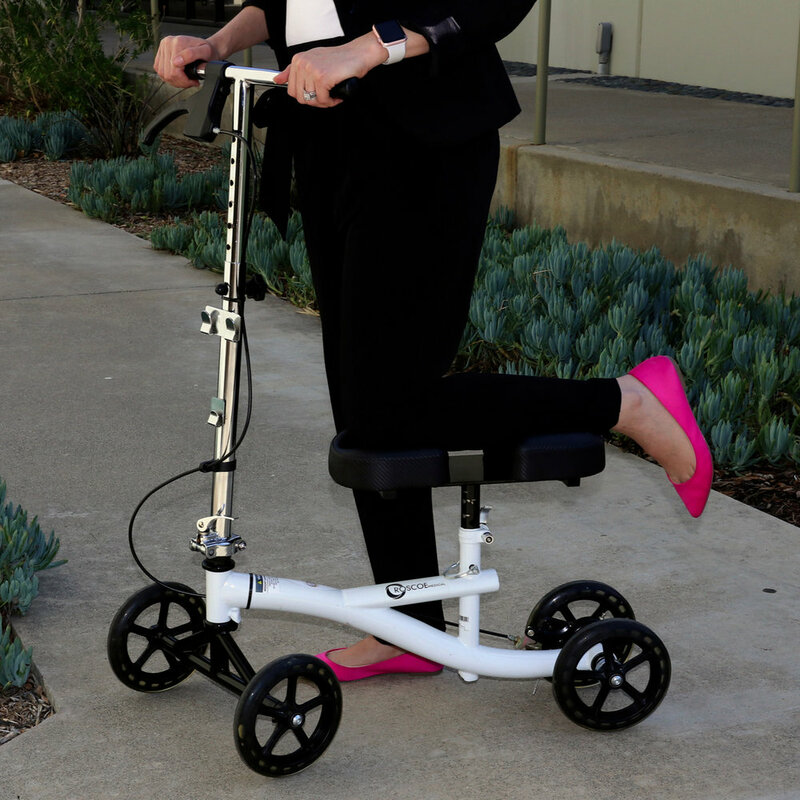 This award-winning new crutch design makes for a great alternative to traditional crutches and knee scooters for all below-the-knee injuries. The iWALK2.0 gives you hands-free/pain-free mobility and gives you back the ability to live a functional, independent lifestyle. So now pushing a shopping cart, taking the stairs, walking the dog, going to work are all possible again with the best hands-free crutch solution, iWALK2.0. Knee Walker is an excellent mobility device for foot or ankle injuries when the affected area cannot bear weight or has limited weight bearing precautions. 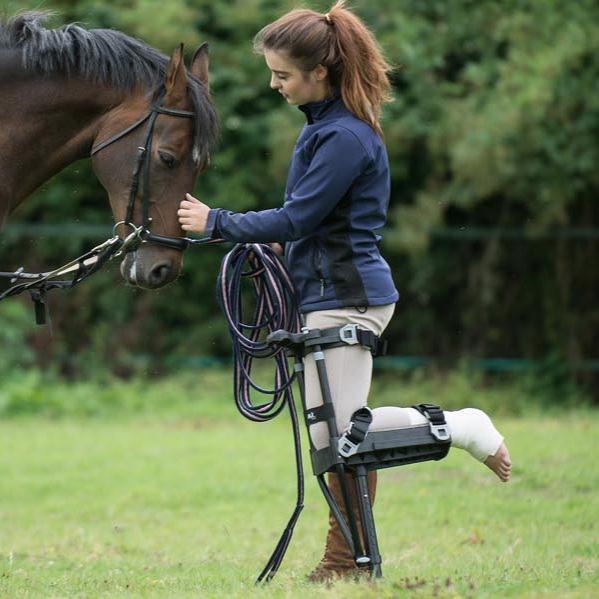 It can be a great long or short term alternative to crutches or folding walkers that can have adverse effects, such as back or under arm pain from extended use. The knee walker allows the user to maintain an active and more independent lifestyle which will help him/her progress to a quicker recovery. Rolling walkers provide two-side support and are equipped with four wheels, a seat and backrest. Because they are equipped with four wheels, rollator walkers require some stability to avoid falling and do not offer complete weight bearing capabilities. For individuals who do not require the high level of support provided by medical walkers, many prefer rollators for their convenience, sleek design and ease of use. 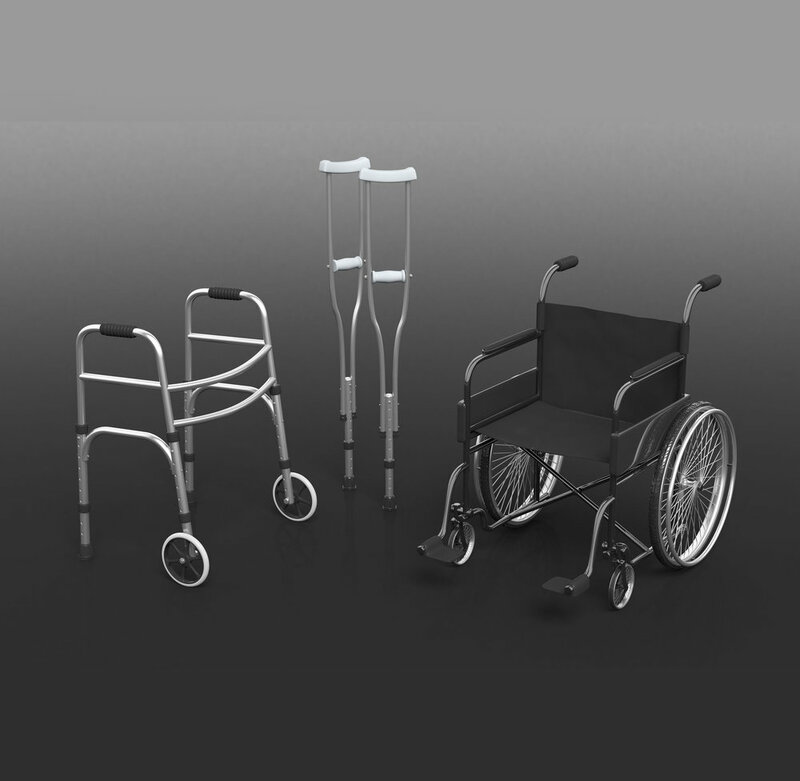 Manual Wheelchairs are of the most popular mobility equipment and offer the lightest solution for a mobility vehicle. They are maneuverable, comfortable and collapsible for storage and are easy to transport.